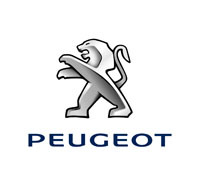 Protect your Peugeot with our high quality tailored car mats. Offering outstanding defence against dirt, mud, water, soil and oil,our mats are manufactured and hand finished in the UK, and can be fully personalised to your own specifications, from the type and quality of the material used to the colour of the edging and stitching. Choose contrasting colours and add your own text or logo, or let us design one for you. Waterproof and fire retardant, our car mats are cut from the original Peugeot templates and delivered with all the fittings required to ensure a perfect fit. Covered by the manufacturer’s warranty too, they offer great protection in a high quality product with complete peace of mind included as standard.